Downside of a Used Bookstore. But the Only One. I know I’m always saying to customers that owning a used bookstore is everything you’d think it would be but only better. That’s the truth. It is awesome. You can make it anything you want it to be – highly organized to total chaos – and get away with it because it’s a used bookstore. No rules. Fabulous. Okay, to come clean, there is a downside of owning a used bookstore. At least to me. What? It’s buying books. I receive calls daily asking if I’m buying. People stopping in…and that’s where it gets awkward. Now remember this is strictly for me. It may not be true for other used bookstore owners. When I purchased the store I bought books from everyone thinking I was beginning a relationship with potential customers. It took me a bit to realize that I generally didn’t see those people ever again. Lesson learned. 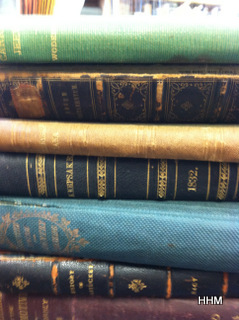 So I stopped buying unless I knew the customer, knew they were local or had books which could/would sell in the store. It was a hard lesson and an expensive one in the long run but at the time, I thought it was important. Now I am, well, most of the time, savvy. At least more so. If boxes come in that are nasty I really don’t want to open them up to see what’s inside. Some boxes have been just grossness. I don’t like end-of-yard-sales boxes generally either. I’ve learned people can relieve their conscience by dropping off boxes here than at ACSWD (Addison County Solid Waste District). I won’t even write about the boxes that were full of spiders. Oops, I did. Well, now you know! The hard part of buying books is quoting a buying price. I don’t like that position at all. Books are subjective. I get it. But many don’t. Yes, your books may be special but sometimes they are generally only special to you. I don’t want to come off snobby here. But facts are facts. And while I’m at it, if it is an old book it doesn’t necessarily make it special either. As like today, there were crappy books written ages ago. Oh, and number of boxes does not equate a larger pay out. It is not quantity but quality of the books. Repeating: it is not quantity but quality that makes the difference. And while I’m on that subject, the cleaner the books the more money I’m apt to give. I take into consideration of the condition of the book while determining price. And spiders get reduction in price! When I purchase books I take into account a guesstimate of how long it might sit on the shelf. And how much money I have in my coffers. Also, will I ever see the seller again. By that I mean, is the seller also a buyer? Hint: buyers keep the store alive. Good! I’ve gotten that out of my system! Now I can move on to another topic. I’ve been sitting on this draft for weeks and weeks. Trying to keep it whimsical, positive. Not sure if it is but time to post and move on.